HARMAN International Industries, Incorporated, the premier connected technologies company for automotive, consumer and enterprise markets, and Airbiquity® , a global leader in connected vehicle services, today announced the first automotive grade end-to-end intrusion detection system (IDS) for connected vehicles at TU-Automotive Europe 2016 in Munich, Germany. With the increasing dependency on software to power vehicle systems and features, cybersecurity has become a threat to connected vehicles and the introduction of new driving assistance, vehicle-to-vehicle communication, and autonomous driving capabilities. By combining HARMAN's Intrusion Detection and Prevention System inside the vehicle with Airbiquity's cloud-based Choreo [™] service delivery platform and Software & Data Management solution, the two companies now deliver the most robust connected vehicle security threat detection and response capability for automotive customers and their consumers alike. HARMAN's embedded ECUSHIELD software—which provides continuous security threat monitoring and identification for internal vehicle networks—detects and logs security intrusions locally. Once logged, Airbiquity's Choreo platform and Software & Data Management solution collects the ECUSHIELD intrusion information from the vehicle, aggregates it in the cloud, and automates alerts and reports so automotive customers can quickly assess and execute security-centric actions—including the secure transmission and installation of vehicle software updates from the cloud to mitigate future threats and restore impacted systems and components. 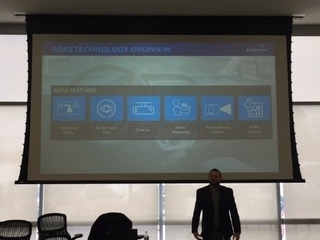 "Car hacking is a very real threat that will continue to increase as we move towards greater connectivity and autonomous vehicles, with more and more new technologies becoming part of the Internet of Things," says Saar Dickman, Vice President, Automotive Cyber Security at HARMAN. "Following years of research in developing ECUSHIELD, we're delighted to be working with Airbiquity, a likeminded partner, to offer the industry the first end-to-end IDS solution that combines our company's embedded capabilities with Airbiquity's comprehensive back-end software and data management solution. Our mutual goal is to help our customers in ensuring vehicles are safe and secure." "Integrating HARMAN's ECUSHIELD technology with Airbiquity's Software & Data Management offering further strengthens our ability to deliver advanced, reliable, and secure end-to-end connected vehicle services to our automotive customers," said Kamyar Moinzadeh, President and CEO of Airbiquity. "Given the high priority of vehicle security we believe threat detection must be a mandatory component of any connected vehicle solution, and Airbiquity is delighted to partner with HARMAN to jointly leverage our technology assets and meet this critical need." Demonstrations of the HARMAN-Airbiquity IDS solution will be showcased during TU-Automotive 2016 at HARMAN's floor exhibit (booth #28) and Airbiquity's on-site meeting room. Contact HARMAN or Airbiquity for additional information or to arrange a demonstration. Dvir Reznik, HARMAN Senior Marketing Manager Automotive Cyber Security, and Scott Frank, Airbiquity Vice President of Marketing, will participate in an OTA software update panel discussion on the first day of the event, 11/2, from 5:15-5:45P CET. 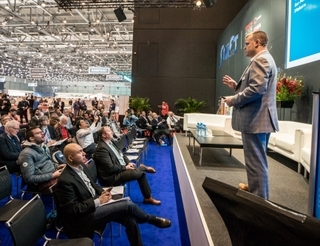 Click here for the latest TU-Automotive Europe 2016 agenda. HARMAN is a leading Tier 1 supplier of connected car security services to automotive OEMs. Following the acquisition of TowerSec, a global automotive cyber security company specializing in network protection for connected vehicles, HARMAN offers 5+1 Cyber Security Architecture, ECUSHIELD and TCUSHIELD and is already delivering solutions to OEMs. Airbiquity's Choreo service delivery platform integrates the diverse spectrum of vehicle systems, connectivity devices, communication networks, back office IT systems, and content and service providers required for traditional and emerging connected car services. Airbiquity's latest offering—Software & Data Management—efficiently and securely orchestrates and automates highly targeted and scalable software updates and data collection for connected vehicles. Airbiquity ® is a global leader in connected vehicle services and pioneer in the development and engineering of automotive telematics technology. At the forefront of automotive innovation, Airbiquity operates the industry's most advanced cloud-based connected vehicle service delivery platform, Choreo™ , and supports all leading use cases including over-the-air (OTA) software and data management. Working with Airbiquity, automakers and automotive suppliers are deploying highly scalable, reliable, and manageable connected vehicle services meeting the safety, entertainment, and convenience needs of their customers in over 60 countries around the world. Learn more about Airbiquity at www.airbiquity.com or join the conversation @airbiquity. Airbiquity is a trademark of Airbiquity Inc.
HARMAN (www.harman.com) designs and engineers connected products and solutions for automakers, consumers and enterprises worldwide, including connected car systems, audio and visual products, enterprise automation solutions and connected services. With leading brands including AKG® , Harman Kardon ® , Infinity®, JBL®, Lexicon®, Mark Levinson® and Revel®, HARMAN is admired by audiophiles, musicians and the entertainment venues where they perform around the world. More than 25 million automobiles on the road today are equipped with HARMAN audio and connected car systems. The Company's software services power billions of mobile devices and systems that are connected, integrated and secure across all platforms, from work and home to car and mobile. HARMAN has a workforce of approximately 29,000 people across the Americas, Europe, and Asia and reported sales of $6.9 billion during the 12 months ended June 30, 2016. The Company's shares are traded on the New York Stock Exchange under the symbol NYSE: HAR.